Pahlish The Good Dalek, 3 coats plus top coat. Formula was a little thick, but I prefer it that way. I was concerned flakies would stick up but happily, they didn’t! Sinful Colors Unicorns R Real 2411, 2 coats plus top coat. Formula was a bit thick and it applied unevenly. Man, I just can’t get enough of magnetic polishes. I think this is my 9th magnetic mani within a week and half? 😀 Fair warning, there’s a ton of pictures today! Oh, I forgot, I took inspiration from this mani by nailsjustnailss. I’ve been playing around with how I use the magnet with these magnetic polishes. With this mani, I hit the edge of the nail with the magnet, then went in at an angle by the knuckle. Ugh, Sinful Colors, why do you do this to me?? 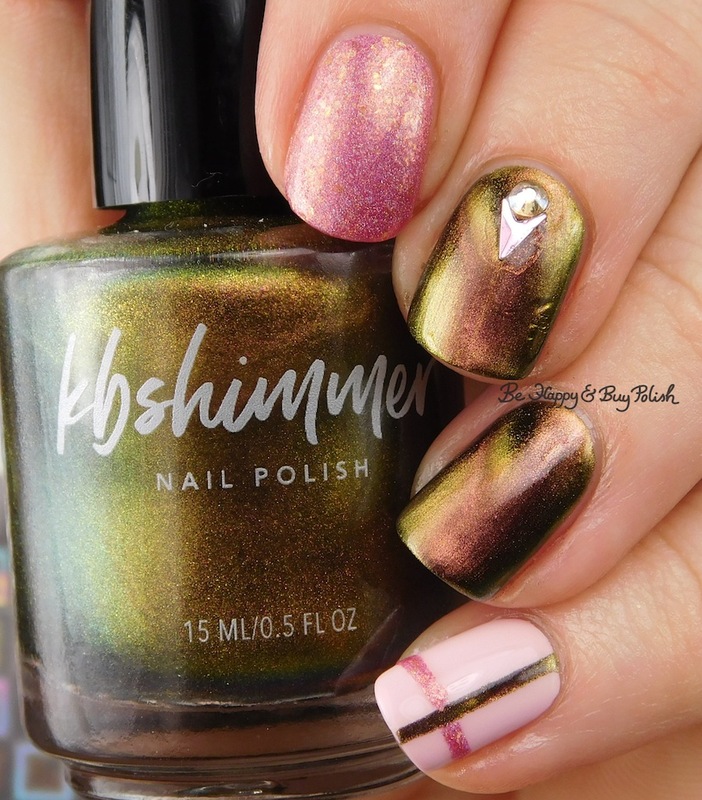 You make beautiful polishes with shimmer that just glows in the bottle. But nope, just gone on the nail. Okay so you wanna know something dumb? I had The Good Dalek a long time ago (when it first came out). And then I thought, I don’t really like this color, I’m going to get rid of it (and I did). Then I discovered a love for rose gold polishes and I had to re-buy it when the maker re-released it. Anyone else done that? Okay last photo – I’ve been trying out posing with more than one bottle of polish. Damn, it’s hard! Balancing it and making the pose look natural and not like you’re gripping the damn things for dear life. 😀 Let me know how I did! I Love this Mani!! Hehe, yes, I’ve gotten rid of a polish only to rebuy at a later time too. The recent magnetics that are being sold in the Indie market are very good. A far cry from the ones the mainstream did several years ago. LOL…love the last pose. You’re killing it with the magnetics. Hopefully this weekend I will get a chance to play with the new magnet.